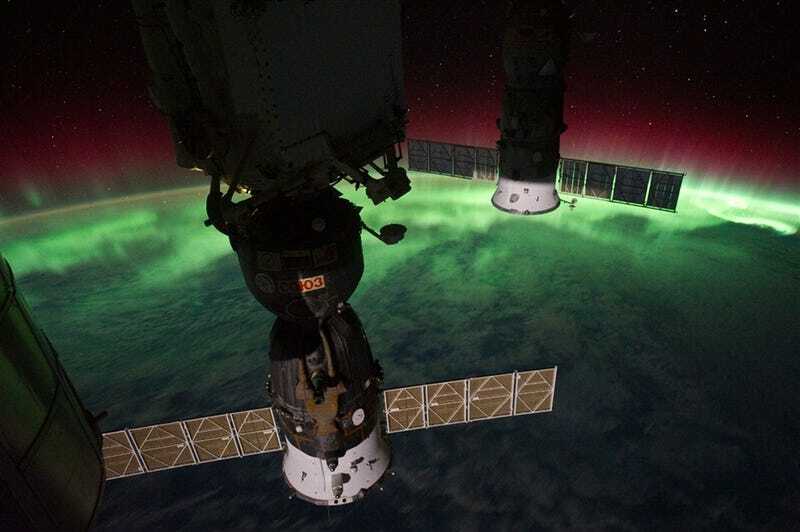 TWO SPACESHIPS, BATHED IN LIGHT | Two Soyuz craft docked with the International Space Station, photographed by astronaut Mike Fossum, with the Southern Lights in the background. Via MSNBC. Could an electromagnetic pulse send us back to the Dark Ages? 6 Walking Dead shorts tell the bloody story of the undead "Bicycle Girl"